I upgraded to 16.04 last week. After a daily update I rebooted my laptop and I found that my desktop icons look larger, my desktop wallpaper is changed to black and my menu looks classic. I thought the problem was with Nvidia driver, so I removed it and reinstalled it, but the issue persists. Please, any idea can be helpful. and then logging out and in again solved my problem. Now all the themes look fine again. 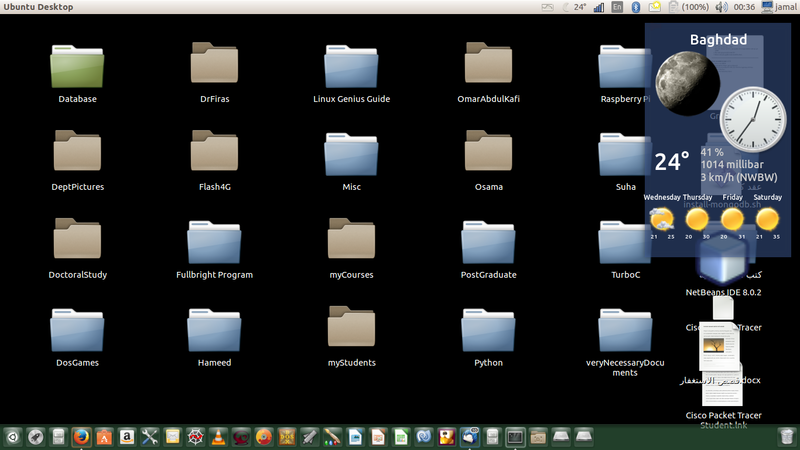 Then my icons were even larger than yours, but recover the default theme configuration. I know this sounds kind of weird, but I managed to change the size of the icons by open a folder (any folder) with files inside (any type of files) and keep pressing Ctrl + Mouse Scroll, this change the size for all files inside and outside the folder. Sometimes best solutions are the easiest. Not the answer you're looking for? Browse other questions tagged 16.04 themes or ask your own question. How to change desktop icon size? Some theme elements broken after upgrade to 16.10?